HA, which enables the influenza virus to enter a human cell, is composed of a head and stem region. The body can mount an immune response to both regions, but most of the response is directed toward the head. 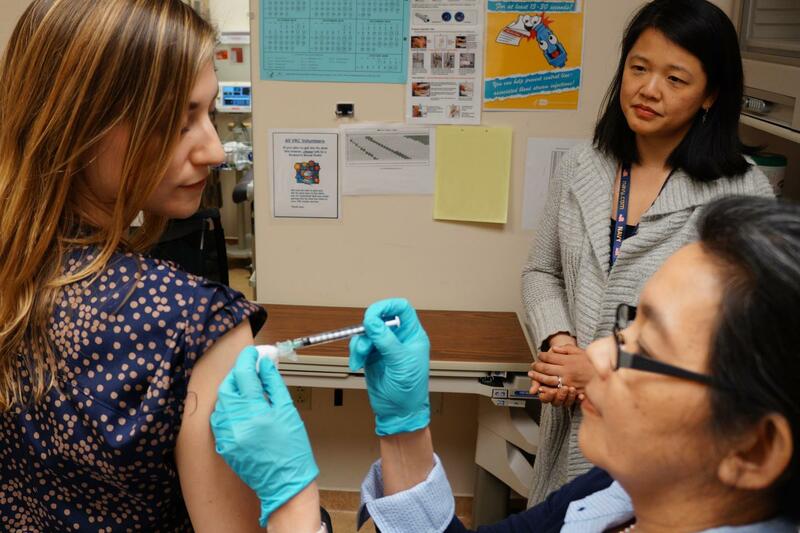 Influenza vaccines must be updated each year because the HA head constantly changes–a phenomenon called “antigenic drift.” The new vaccine candidate consists of the HA stem only. The stem is more constant than the head among influenza strains, and thus less likely to need to be updated every season. Many scientists predict that targeting the HA stem without the distraction of the HA head could induce broader and longer lasting immunity.